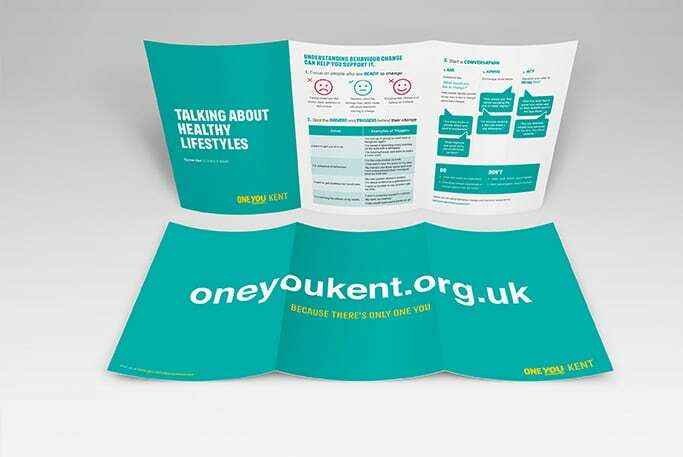 One You Kent is the regional delivery of Public Health England’s national campaign, One You, which encourages adults to take responsibility for their health choices. One You aims to lower dependency on public health services and reduce health inequalities. 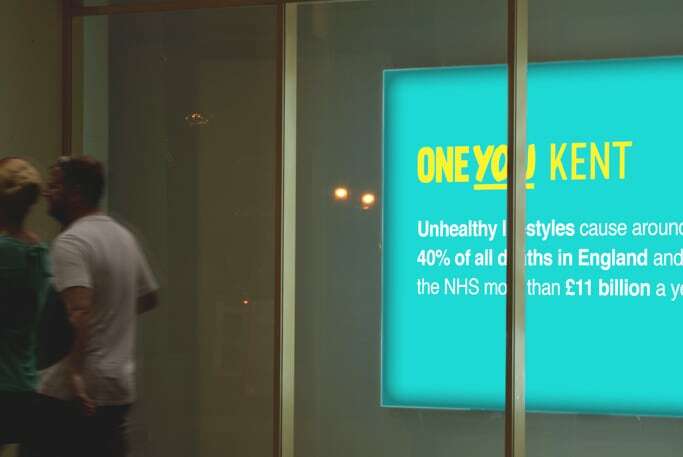 The campaign was positioned by Kent County Council as the centrepiece of their adult public health campaigning. ifour was commissioned by Kent County Council to engage Kent-based health professionals in promoting and delivering One You Kent by building brand awareness, unifying diverse cross-county health improvement service provision under a One You Kent ‘umbrella’ and identifying and optimising opportunities to promote and discuss behaviour change. Our strategy was to identify and facilitate the connections and links that existed formally and informally in Kent’s health sector, to help foster a network of frontline healthcare and public health professionals and improve their ability to promote healthy choices and share best practice. ifour conducted stakeholder workshops, interviews and surveys with healthcare providers (e.g. stop smoking services), delivery partners (e.g. GPs) and supporters (e.g. businesses) to find out what they needed in order to a) signpost One You Kent services to their patients, customers and clients and b) have easy and motivating conversations with patients, customers and clients around behaviour change. ifour made recommendations for each key stakeholder group and created a ‘toolkit’ of practical materials for stakeholders to use to promote the initiative and encourage behaviour change. 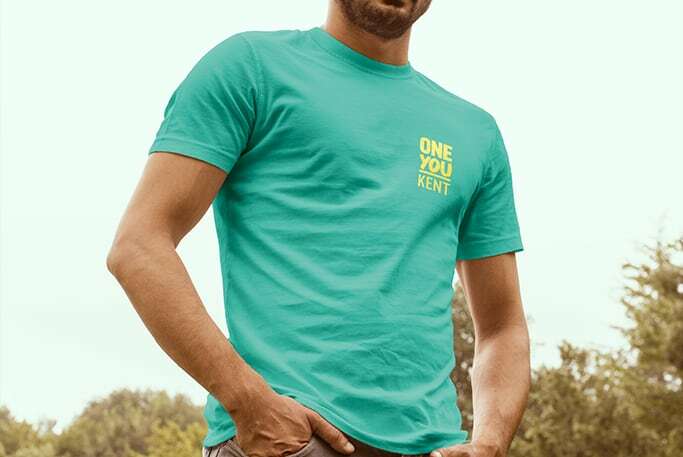 In addition we established a stakeholder database and schedule for ongoing delivery of the stakeholder campaign and produced a set of regional brand guidelines to ensure consistent delivery of the One You Kent brand. The One You Kent stakeholder engagement process identified the barriers stakeholders face in engaging with members of the public about unhealthy behaviours. It delivered tools to enable stakeholders to promote positive action around behaviour change. At the same time the process engaged a wide range of stakeholders and raised awareness of One You Kent in readiness for the launch. The engagement work and materials received a positive response from stakeholders. In particular work with GPs was described by Kent County Council as ‘standout’. Four key strategic foundations identified by ifour have become pillars of the ongoing campaign. Kent County Council praised the additional strategic, engagement and creative resource brought to their project by ifour and felt that the approach had formalised whole system advocacy. The campaign is now ongoing and anecdotal evidence indicates stakeholder awareness and uptake of frontline services has already increased.